To coincide with the recent launch of Photoworks’ fantastic new website they have launched their online ‘Magazine Showcase’. The online Showcase allows them to share the best of the work which is submitted to them with a wider audience and to support emerging talent. I am delighted that a portfolio of my work has been selected to be a part of their first Showcase. 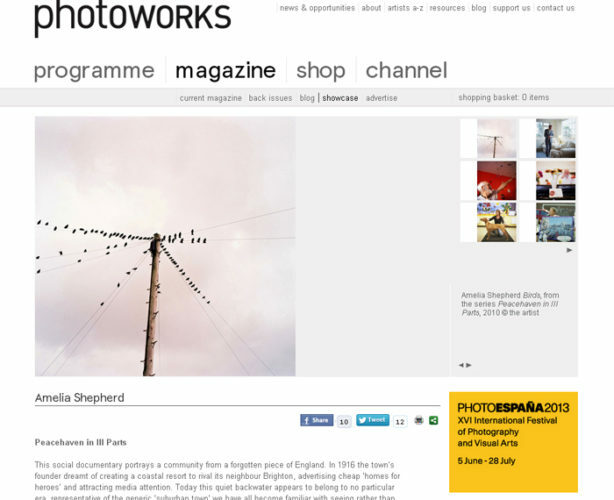 Photoworks’ are promoting feedback and dialogue about all of the works selected so please have a browse through and leave comments if you feel inspired to Photoworks’ Showcase.